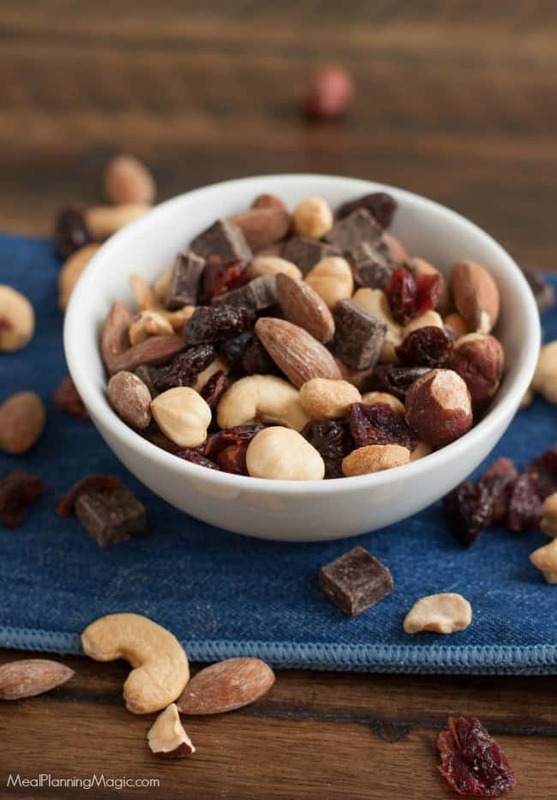 My Black Forest Trail Mix is full of protein and nutrient rich nuts and dried fruit like cherries and hazelnuts and just a bit of dark chocolate—the perfect combination of salty and sweet! 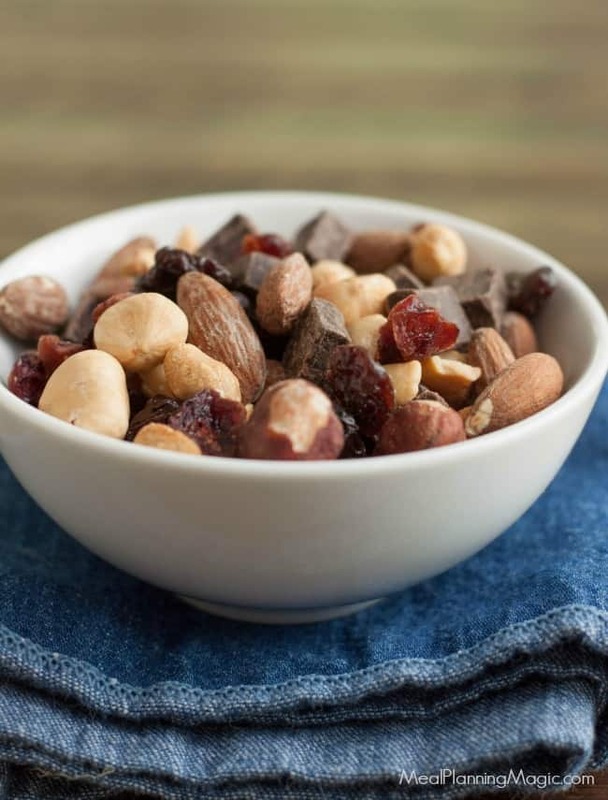 Click here to PIN this Black Forest Trail Mix recipe! 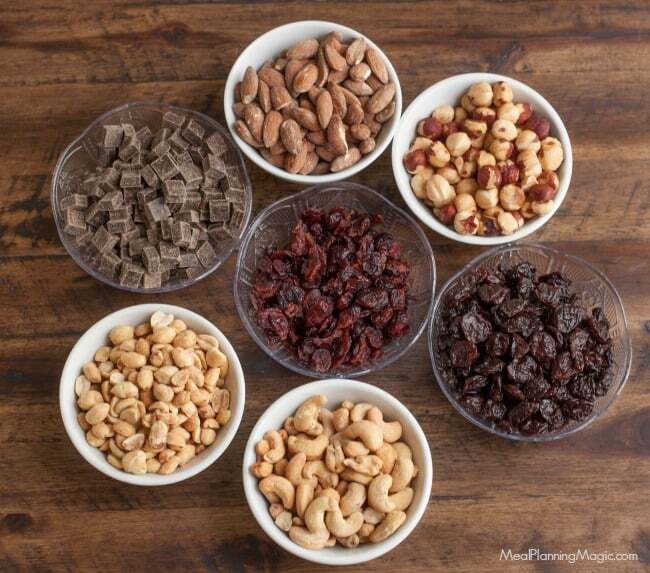 Y’all, we love trail mixes! They are a great way to pack in some protein and fruit and you don’t need a whole lot to fill up. I like to carry a small container of trial mix in my purse for when I’m out and about longer than expected but don’t want to drive through the fast food place to satisfy my hunger. We also like to bring them on road trips because they require no refrigeration! 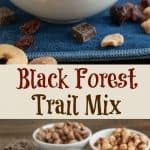 I first tried a version of this Black Forest Trail Mix when we ordered a package from my daughter’s Girl Scouts fall fundraiser. We brought it on a road trip and everyone loved it! I knew it was simple enough that I could try and make my own version and leave out the extra soy (why do so many things add soy?) and control the amount of salt we have. There is much discussion about where the traditional black forest combination of chocolate and cherries comes from but one thing’s for certain it has its roots in the Black Forest region of Germany. Known for its sour cherries and the Germans’ love of chocolate, it’s only natural that these two flavors teamed up to become the famous combination like I’m sharing in this recipe. I found the dark chocolate chips in the baking aisle at my local Kroger so they should be pretty easy for you to find too (I’m anxious to try them in cookies). 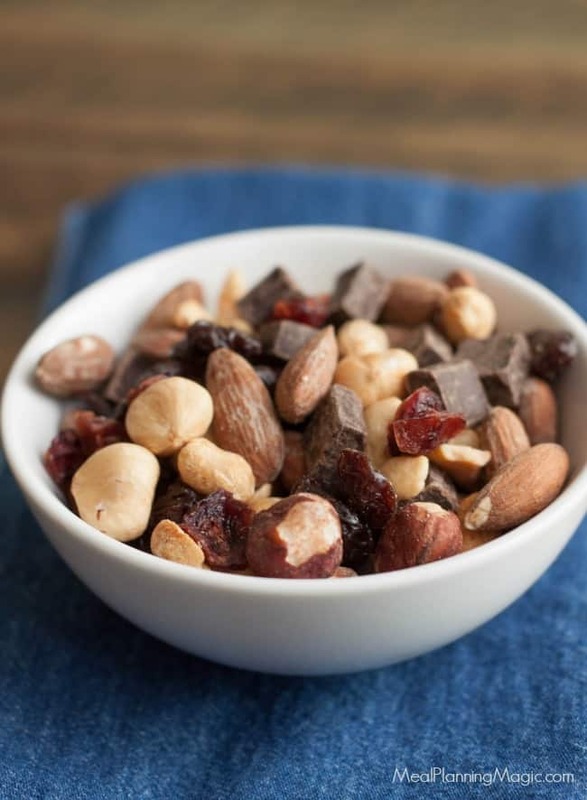 If you don’t like dark chocolate, you can substitute semi-sweet chocolate chips but I will say that I’m usually the only one in my family that likes dark chocolate but everyone in my family could not get enough of this Black Forest Trail Mix! Although my recipe indicates salted nuts, you can change it up based on your own preferences and choose unsalted nuts instead if you like. I got my hazelnuts at Trader Joe’s but I did notice them in the bulk bins at Kroger a couple of weeks ago. My husband really loves the dried cherries and will often sprinkle a handful on top of his cereal. I have seen dried cherries at grocery stores like ALDI (not a regular item though from what I can tell) or Whole Foods. My Kroger and HEB seem to be a little more sporadic about what dried fruits they carry beyond the usual raisins and dried cranberries but it’s worth checking your local store. Sometimes they will have these kinds of dried fruit in the bulk food section too. This can easily be doubled or tripled if you are making it for a crowd but I will say the original recipe actually makes a lot! Or make up a big batch to take on your next road trip along with some of these other Better For You Road Trip Snacks. I hope you’ll give the Black Forest Trail Mix a try! In a large mixing bowl, combine all ingredients until evenly mixed. Store in an airtight container for up to one month--if it lasts that long! Wow..!! This is super easy. I was looking for something in snacks for my road trip. I think I found it. Thanks for sharing the recipe.